When it comes to writing, publishing, and marketing a book, there are many mistakes to be made (many more than 99). The #1 most important mistake NOT to make is over-investment. I’ll give a quick anecdote about that, and then give the whole list of my 99 favorite book mistakes. One of my favorite stories about over-investment is of two (real) people. Let’s call them Dolores and Ben. Dolores spent $57 writing, producing, and publishing her book. Sure, it was self-published, but it looked great, and was well edited by friends and family members. She currently gets tons of gigs because of the book, and is an Amazon.com bestseller. Ben spent more than $1/4 million dollars (yes, $250,000 …to buy your way into the New York Times bestsellers list. Ben put a second mortgage on his house, and he got #1 bestseller status from one of the major newspapers in the US. Was it worth it? He got a few more gigs, and he earned about $50,000 of his investment back. Which author is more successful? Don’t use friends for writing and editing. Don’t use family members for writing and editing. Don’t thank friends and family after they have helped you. If you’ve edited once, don’t edit a second time. If you are just plain sick of editing, just stop after three edits. Take ten years to finish. Write everything in a weekend. Give away the rights to your book for a song. Agree to a contract without talking with a lawyer. Sign with a publisher without shopping around first. Don’t create a business plan for your book. Spend your entire savings on the book. Mortgage your house a second time to pay for the book. Hire a publicist at $3,500 per month. Pay for publicity without worrying about building a social media presence first. Decide not to give away any copies for free. Don’t say thank you to anyone. Don’t work too hard on writing — it’s okay if it’s not your best material. Don’t think about ROI (Return on Investment). Fixate on ROI, as if it’s the most important thing in your universe. Don’t worry about having a great title. Don’t think about the target demographic of your book. Don’t work on your Twitter presence. Don’t answer messages through your website or social media. Don’t answer your emails from readers. Have content from 1985 on your website. Build your website in Flash. Don’t have an Author Central account on Amazon.com. Don’t have your book available as an eBook. Don’t offer your book free on the Kindle KDP platform. Buy lots of followers on social media (so you don’t have to develop them naturally). Buy Amazon reviews (if Amazon doesn’t catch you and remove your account). Don’t have a good author bio on your website. Don’t have paperbacks available alongside the eBook edition. Don’t give any copies away to friends and family. Don’t contact the local press. Don’t worry about creating a great subtitle that works well on search engines. Design a cover that doesn’t have bling. Refuse to write on a Blog. Refuse to make a Book Trailer online. Go with a major press. Pay for a press release. 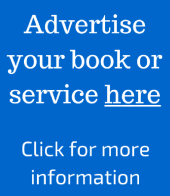 Advertise in the back of your book for a vitamin company. Start a publishing pyramid scheme. Invest a ton of money into books before you have a distributor. Don’t spend any money on anything, even though you have a budget. Don’t have a contract with collaborators, illustrators, or other freelancers. Sign away rights to future products, like ebooks and audio books. Dream of fame because of this book. Dream of swimming through pools of gold coins because of this book’s success. Write about what you don’t know. Plagiarize! Don’t worry about sources. Cite Wikipedia on every page. Use pictures in the book without attribution. Don’t use any quotes or references in your entire book. Print too many books, and keep them in your moldy basement. Move forward without thinking about all options. Go into business with your family. Take out loans to pay for the book. Don’t ask for any emotional or financial support. Don’t run a Kickstarter or other crowdfunding campaign. Don’t worry about building a great team. Don’t hire an editor — who needs them?! Put all eggs into this book basket! Mortgage your house and sell your cars to pay for a marketing campaign. Stop trying to finish — it’s hopeless. Worry about audience for the book. Worry about what the critics will say. Write about non-celebrities without their permission. Write and publish total crap. Hold out for a better deal. Guest post contributed by Dr. Kent Gustavson at the Blooming Twig. The Blooming Twig is an independent, boutique publishing house that supports the adventurous tastes of its readership. Interesting. I would have thought the Number one cause of failure on the path to creating a successful book would be not writing. At least, this is one of my biggest struggles. Yikes! Fortunately, I have avoided many of these pitfalls. I am more of a Delores than a Ben. I’m beginning to think that number 46 should be taken heed of. I’m also coming to the conclusion that offering free books is not a good idea. I love all the great info that this blog shares.